These are only projects related to the shop, but not related to structure completion. Some of these are just general ideas at this point, and is just the order they fall out of my brain. I’m largely sticking to the script on this one, and focusing on getting the details right. The internals can be massaged a bit to fit my needs, I just need to lay out what my eventual inventory will be to make sure things will fit. Once that’s done, I can start stocking the lumber. Could be cherry or walnut, depending on what’s on sale. I’m looking forward to this one testing my hand tool skills, particularly with dovetails. This will replace my plane till, and perhaps the thousand chisels I have will fit – that’s been my biggest deterrent to starting. Once complete, the back wall will be markedly different. 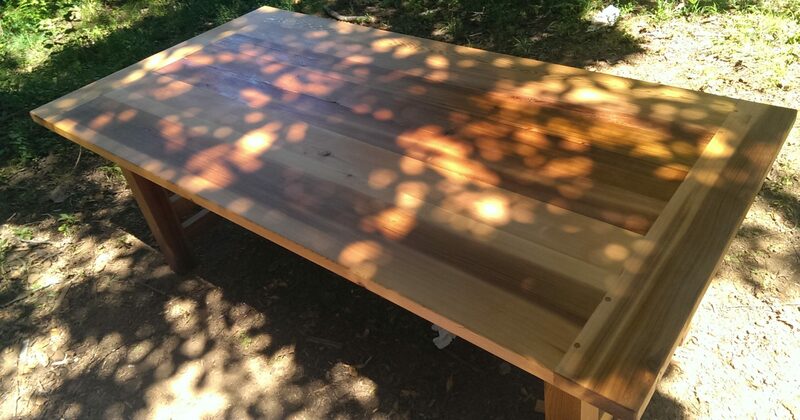 Mentioned in the Technique post, I need an outdoor table that I can break sheet goods down on, do some light assembly and/or finishing on. Nothing fancy, but it needs to be flat, stable, level, and stand up to the elements. This is a maybe, but something I’d like to do if the funds are there. The entire right side of the shop needs some help, and what better way to do it than to do it all over again with a cohesive plan. I love the systainer storage, but everything else could use some work. This is going to be inevitable at some point. I built my workbench as my first one, never my last. I used cheaper materials to help get my feet wet and build my skills. At some point the soft Douglas fir would have to be replaced by a denser, more expensive material. I don’t have a final design for this, nor a time frame. The Roubo and Shaker designs are leading the way, and perhaps I should focus on getting the rest of the shop’s storage capabilities sorted out to see if I need all the drawers a Shaker-style workbench would bring. Marc Spagnuolo did a really great version of the Roubo, and I’ve seen several good versions of the Shaker. This technically isn’t completely shop related, but it will play a big part. The area in front of the shop is very uneven, mostly involving some slope down to the house. This means that everything outside is not level, there’s a nice step down out of the shop, and generally the backyard is a mess. Well, I plan to build a freestanding deck just outside of the shop that I can wheel projects or tools out on, set up level outdoor cutting (like a table mentioned above), and relax and perhaps have a fire pit with. It will go a long way to helping the resale value of the house as well, which is a nice benefit. With a shiny new deck of course I will likely have to build deck furniture. Finally, I’ll need to build something tidy for my yard equipment to go in. This is going to be small enough to not piss the neighbors off, but big enough where a push mower can go in. This is pretty low on the list right now, but it could be a place where the lathe can go temporarily as well.